Insight, not hindsight is the essence of predictive analytics. How organizations instrument, capture, create and use data to predict next steps/actions is fundamentally changing the dynamics of work, life and leisure. All of these need data. Data is the new raw material. Cloud is the new pipeline. Machine Learning is the new refinery. Digital use cases is the new experience frontier. Having data or collecting data is not valuable. Using data is. Analytical insights powered by ML, Deep Learning, AI are changing customer expectations and corporate strategy. A decade ago, GE was in the mode of “the product breaks, we fix it,” Today, GE has >$100 billion in revenue tied to data-driven SLA asset maintenance contracts, whereby it gets paid based on a product being in service — a power plant turbine, a jet engine, a locomotive. “Power by the Hour” leasing model means the maintenance costs and service outages are GE’s headaches not clients. GE needs predictive analytics to help meet SLAs, avoid downtime, predict safety issues, and make those contracts profitable. Predictive Analytics is the new differentiator. Take for instance, Uber, which is a data driven business model powered by a huge trove of real-world, real-time preference/usage /feedback data. Uber’s mission is to architect, develop, and deploy world-class data systems to empower multiple services. The backend data engineering group is responsible for real-time business metrics aggregation, data warehousing and querying, large scale log processing, schema and data management as well as a number of other analytics infrastructure systems. It’s a new world with new rules around man+machine interactions. Once-a-day sensor readings are moving to real-time rule based or machine learning platforms. Consumer facing interactions are evolving from… “How companies find customers” to “how customers find companies today”. Strategies are shifting from…. Serving customers with “with silo’d channels were enough” to now “seamlessly integrating multi-channels, screens, devices.” Demographic segmentation is evolving from simple behavior segmentation to complex 1:1 predictive personalization. I believe that we are on the cusp of a multi-year predictive analytics revolution that will transform everything. However, change will be slower than people think as legacy systems have to replaced; it’s impact greater than people envision in the long run. Analytics and AI will be highly disruptive to some industries, affecting not only revenue and cost structure but also shaking up the core business and operating models. The scope of predictive analytics is also expanding considerably as human behavior is modeled and expressed mathematically. Using analytics to compete and innovate is a multi-dimensional issue. It ranges from simple (reporting) to complex (prediction) to learning (AI). For additional case studies and examples see the complementary post Business Analytics 101. Reporting on what is happening in your business right now is the first step to making smart business decisions. This is the core of KPI scorecards or business intelligence (BI). 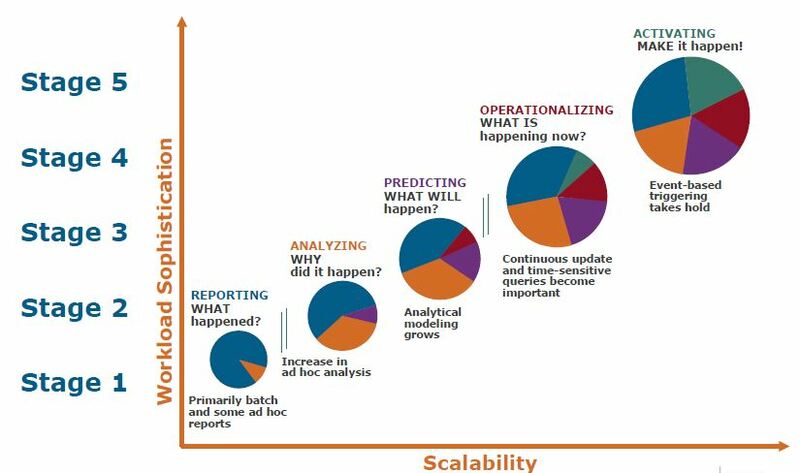 The next level of analytics maturity takes this a step further. 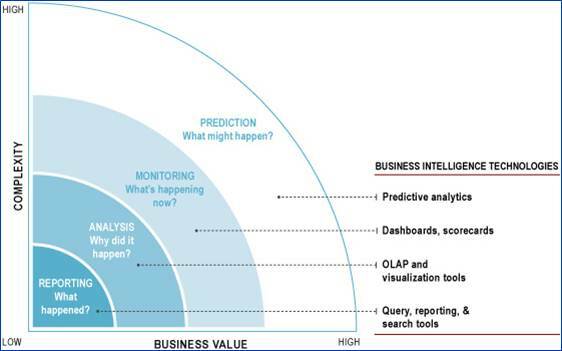 Can you understand what is taking place (BI) and also anticipate what is about to take place (predictive analytics). The end goal of predictive analytics = [Better outcomes, smarter decisions, actionable insights, relevant information]. How you execute this varies by industry and information supply chain (Raw Data -> Aggregated Data -> Contextual Intelligence -> Analytical Insights (reporting vs. prediction) -> Decisions (Human or Automated Downstream Actions)). Predictive modeling mathematically represents underlying relationships in historical data in order to explain the data and make predictions, forecasts or classifications about future events. Example of predictive modeling, next best action (or offer) in e-commerce was covered in this post. Advanced “neural” systems, which learn complex patterns from large data sets to predict the probability that a new individual will exhibit certain behaviors of business interest. Neural Networks (also known as Deep Learning) are biologically inspired machine learning models that are being used to achieve the recent record-breaking performance on speech recognition and visual object recognition. Statistical techniques for analysis and pattern detection within large datasets. Predictive models summarize large quantities of data to amplify its value. The value chain for predictive modeling in a M2M scenario is shown below (source: Greenplum Blog). It’s all about having the right people and right models. Decision analysis refers to the broad quantitative field that deals with modeling, analyzing and optimizing decisions made by individuals, groups and organizations.Some applications include optimizing supply chain management, tracking key performance indicators, uncovering hidden sales opportunities and determining runaway operating costs. While predictive models analyze multiple aspects of individual behavior to forecast future behavior, decision analysis analyzes multiple aspects of a given decision to identify the most effective action to take to reach a desired result. Most consulting firms leverage decision analysis to provide bespoke data-driven solutions to a variety of business applications. Apart from statistical modeling and data analysis, the focus is also on understanding business challenges and delivering solutions. Integrated approaches to decision analysis incorporate the development of a decision model that mathematically maps the entire decision structure; proprietary optimization technology that identifies the most effective strategies, given both the performance objective and constraints; the development of designed testing required for active, continuous learning; and the robust extrapolation of an optimized strategy to a wider set of scenarios than historically encountered. Optimization capabilities also include a proprietary mathematical modeling and programming language, an easy-to-use development and visualization environment, and a state-of-the-art set of optimization algorithms. 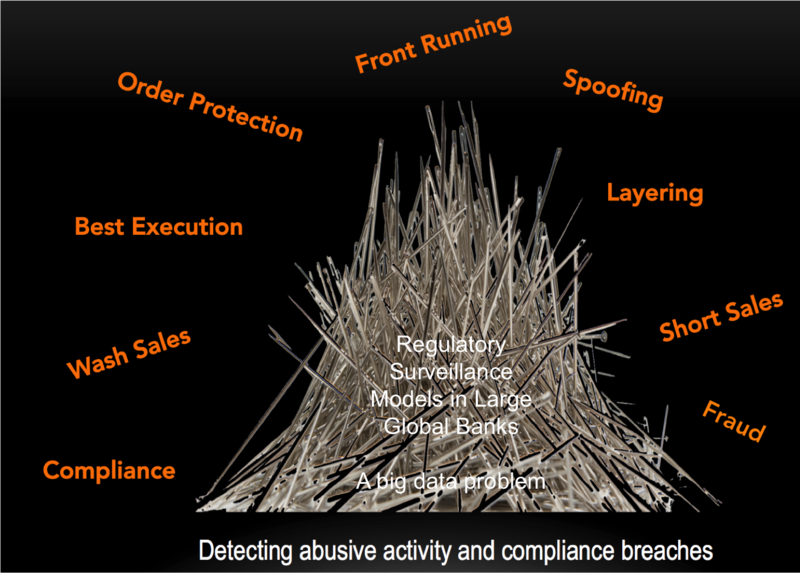 Transaction profiling is a technique used to extract meaningful information and reduce the complexity of transaction data used in modeling. Many solutions operate using transactional data, such as credit card purchase transactions, or other types of data that change over time. In its raw form, this data is very difficult to use in predictive models for several reasons. First, an isolated transaction contains very little information about the behavior of the individual who generated the transaction. In addition, transaction patterns change rapidly over time. Finally, this type of data can often be highly complex. To overcome these issues, a set of proprietary techniques are used to transform raw data into a mathematical representation that reveals latent information, and which make the data more usable by predictive models. This profiling technology accumulates data across multiple transactions of many types to create and update profiles of transaction patterns. These profiles enable the neural network models to efficiently and effectively make accurate assessments of, for example, fraud risk and credit risk within real-time transaction streams. Increasingly, teams are pushing the envelope of how to use information retrieval, machine learning, computational linguistics, matrix and graph algorithms, unsupervised clustering & data mining to solve profiling problems. The future of consumer engagement is an engaging and immersive experience across formats. To enable this… Machine intelligence is getting increasingly married to human insight. Machines (software robots) increasingly are learning to teach themselves to recognize objects, text, spoken words and more. They are also able to interface/interact with people in a natural way. Apple Siri, Google Maps are examples of this. Machine Learning (ML) is how signals in the data are uncovered via Supervised learning…. Devise an Algorithm A that: Given training set S…Finds a function F that given an input… Returns an output. A range of start-ups – Cue, reQall, Donna, Tempo AI, MindMeld and Evernote – and firms like Apple, Google, Facebook, Microsoft, GE are working on various forms of supervised learning also known as predictive search — new tools that act as personal valets, anticipating what you need before you ask for it. Google, for instance, is continuously evolving search with machine learning. Almost all Google’s products have some machine learning. Entire categories wouldn’t be possible without machine learning. Google Photos, the search feature where you can search and it finds things like dogs because it can recognize what a dog looks like is an example. Larry Page, Google CEO, described the “perfect search engine” as something that “understands exactly what you mean and gives you back exactly what you want.” The shift toward contextual or predictive search is driven by data — big data. Google launched predictive search back in 2004 with Google Suggest, which was renamed Google AutoComplete in 2010. In 2010, Google Instant came on the scene, generating look-ahead search results as users type. Google’s Knowledge Graph in 2013 further enhances predictive search by predicting what type of information a user is searching for when they search a celebrity name “Brad Pitt” and generates specific related content right alongside normal search results. Google Now is the next version of predictive search, serving as a valet or personalized assistant that can predict your needs, wants, and deep desires. This is basically taking multiple buckets of data and intelligently connecting them to facilitate decisions….everyday data supported decision making. For some, Google Now delivers information about the traffic on morning commute, your updated flight itinerary, and the results of last night’s hockey game on your phone, without your asking. Singularity… Google has bought 15+ Robotics and AI companies like Deep Mind and hiring talent like Ray Kurzweil, to heavily integrate ML and NLP. How does Google Now work….In order to provide relevant contextual info that relates to you and only you, Google uses your private data – people you know, documents, images, hangouts, location, e-mail, daily calendar, and other info – in order to keep tabs on things like search preferences, appointments, flight reservations, payments and hotel bookings. Or auto-suggesting restaurants from the Zagat’s guide to have dinner at. Google has become a lifestyle/ambient brand. Having Android on every smartphone allows Google to do creative things enabling more augmented reality leveraging the hybrid data ecosystem. Google is also in a unique position to know what information people are most searching for and when they want it based on Web searches processed by the search engine daily. The different cloud services (YouTube etc.) that it controls creates a web of clickstream data that is unsurpassed. Facebook and Apple might be the closest to Google in terms of knowledge about your life. Embedded in IOS is iBeacon technology that can pinpoint your location to within a few feet. IBeacon is software that enhances the location-tracking services in an iPhone, an iPad Mini, or any device running iOS 8+. For retailers desperate to turn smartphones into a sales portal, it provides a quick way to target ads and other messages to engage consumers as they walk outside or through a store. For Apple, it’s a chance to collect valuable behavior data and create momentum for Apple Pay. Facebook’s M personal assistant is a new entrant in the predictive analytics game. M appears to be the first tangible manifestation of Facebook’s machine-learning efforts. M is a combination of machine and human intelligence, trained by a huge dataset augmented by “M trainers.” With its unique access to posts, pictures etc. – that form the basis of Facebook’s Social Graph — and how they relate to one another, Facebook has the ability to index information at a scale that rivals Google’s comprehensive Web indexing capabilities. IBM is transforming itself for new era of “cognitive computing” which IBM aims to drive by offering Watson supercomputing capabilities to businesses and developers via the cloud. Watson learns from user interactions and can answer complex questions. It’s amazing how Microsoft fumbled the ball on Predictive Search enabled innovation. They were touching every aspect of the Hybrid Data Ecosystem and failed to capitalize on this (history might call this a textbook case of Innovator’s Dilemma). More recently, Microsoft is attempting to make up ground with Cortana. Just because firms have a lot of data doesn’t mean they’re doing a good job of acting on it. 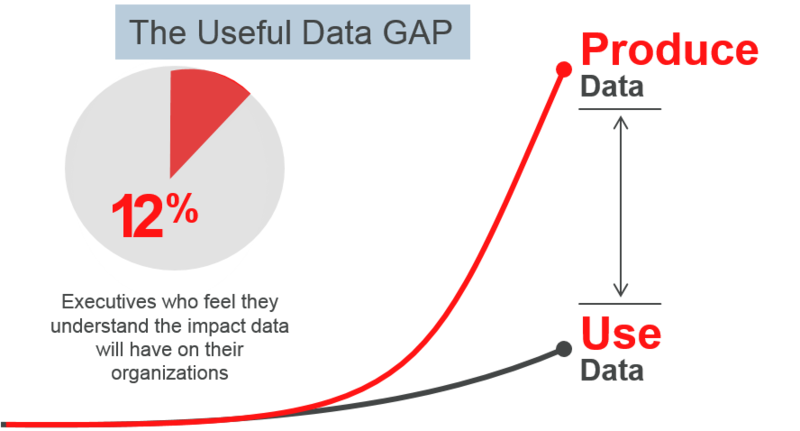 Converting data -> information -> knowledge -> decision/action is the holy grail of analytics. Just simply getting insight is not enough if you can’t act on it. The closing of the loop from insight to automated action is where the big challenges lie. See The Notification Economy for some examples of how alerts and notifications are helping close the analytics loop. The core challenge is putting it all together – Science + Art + Scale. A core question that I try to evaluate firms on: Do they have the right toolset, dataset, skillset and mindset for closed loop decision analytics? What is their maturity on each of these dimensions? But even more fundamental is the question: Do you have the right foundation to handle and convert the growing volume of data? So asking questions of your data is only effective if you know the right questions to ask. Common sense but suprisingly uncommon. I have seen many firms investing millions in infrastructure like SAP HANA or Oracle Exadata and don’t really have a clue how to use it. A good salesperson gave them a great deal so they bought it. If you don’t know where you are going…any path will get you there. Exploratory Analytics and data discovery are new techniques aimed at helping unravel that locked information and use it to the advantage of the company. The key is a powerful merger of statistical data mining and a consultative approach which enables companies to make more effective decisions while addressing their business challenges. 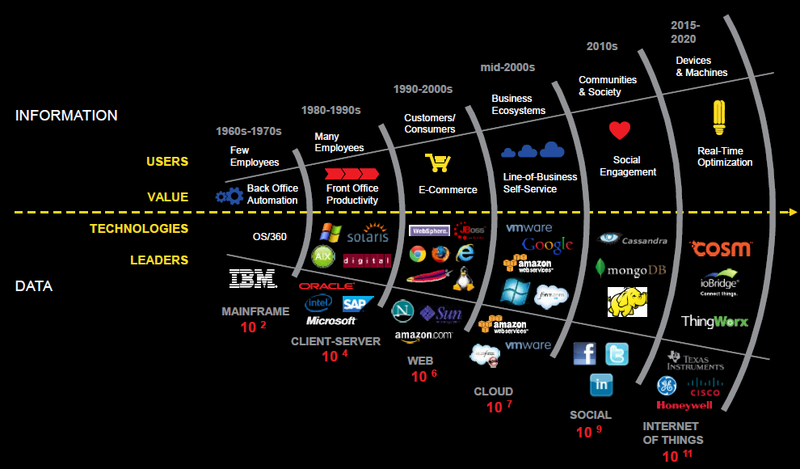 Informatica illustrates the evolving challenge facing us as we migrate towards the Internet of Things. However, delivering real-time actionable intelligence is not easy. Closed-loop performance systems that deliver continuous innovation and insight are tricky to build and maintain. Applications include marketing campaigns, customer behaviors, risk management, operations, financial and investment management. The challenge is not insight but the evolving context. What was interesting 2 weeks ago may no longer be interesting to a target individual. So the context (rules engine) has to evolve continously… basically the ability to learn. 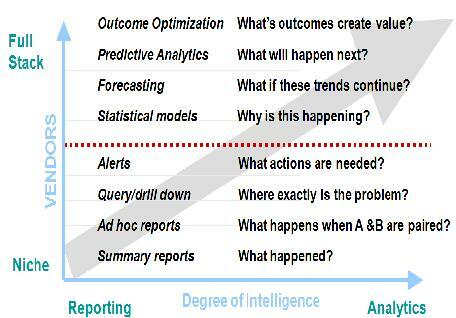 Below is a figure from HP that illustrates this central tenet of predictive analytics. You are free to replace the HP products with your own vendors 🙂 But the foundational building blocks….Enterprise data virtualization or aggregation are not trivial at large firms with legacy applications and diverse platforms. Predictive Analytics as a core strategy enabled by big data is happening in regulated (Health, Wealth) and unregulated markets (Retail, Media, Publishing). Marketing services market — Fair Issac, Acxiom, Epsilon, Equifax, Experian, Harte-Hanks, InfoUSA, KnowledgeBase, Merkle and TargetBase, among others. These vendors compete with traditional advertising agencies and companies’ own internal information technology and analytics departments. Origination market — Fair Issac, Experian, Equifax, and CGI, among others. Customer management market — Fair Issac, Experian, among others. Fraud solutions market — Fair Issac, Actimize, a division of NICE Systems, ID Analytics, Experian, Detica, a division of BAE, SAS and ACI Worldwide, a division of Transaction Systems Architects, in the banking market; IBM and ViPS in the healthcare segment; and SAS, Infoglide Software Corporation, NetMap Analytics and Magnify in the property and casualty and workers’ compensation insurance market. Collections and recovery solutions market — Fair Issac, CGI, Experian, and various boutique firms for software and ASP servicing and in-house scoring and computer science departments, along with the three major U.S. credit reporting agencies and Experian-Scorex for scoring and optimization projects. Insurance and healthcare solutions market — Fair Issac, Emdeon, Ingenix, ViPS, MedStat, Detica, a division of BAE, SAS, Verisk Analytics and IBM. 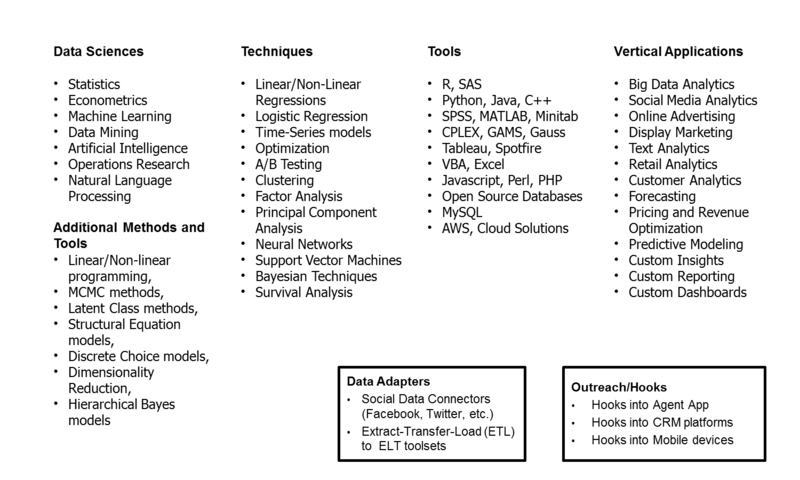 software companies supplying modeling, rules, or analytic development tools. Disruptive innovation like predictive search which brings a very different value proposition and/or creates new markets!! Sustaining innovation like dashboards or visualization which improves performance of existing products and services. In executing either pattern, you tend to go thru the same project steps. 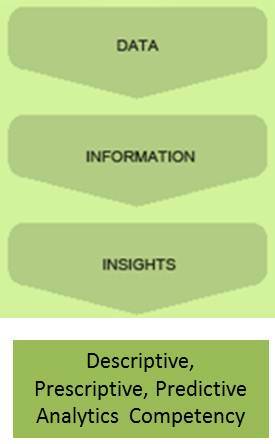 There are four main stages of any analytics project — Educate, Explore, Engage and Execute. In the Educate stage, the primary focus is on awareness and knowledge development. In Explore stage the focus is on developing an organization’s roadmap for big data development. In the Engage stage, organizations begin to prove the business value of big data, as well as perform an assessment of their technologies and skills. 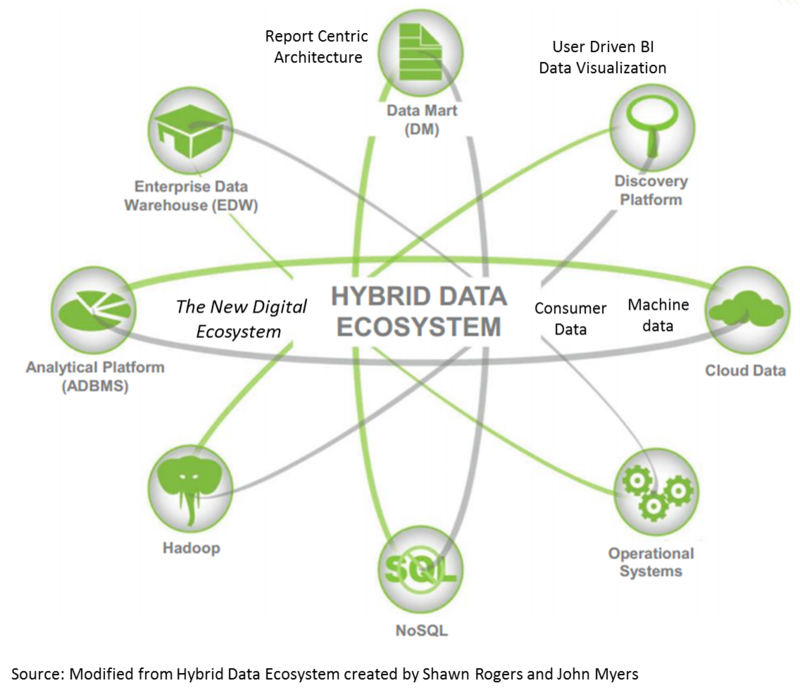 In the Execute stage, big data and analytics capabilities are more widely operationalized and implemented within the organization. Depending on the use case engineering the Analytics solution (Raw Data -> Aggregated Data -> Contextual Intelligence -> Analytical Insights (reporting vs. prediction) -> Decisions (Human or Automated Downstream Actions)) will require choices and decisions along various dimensions. 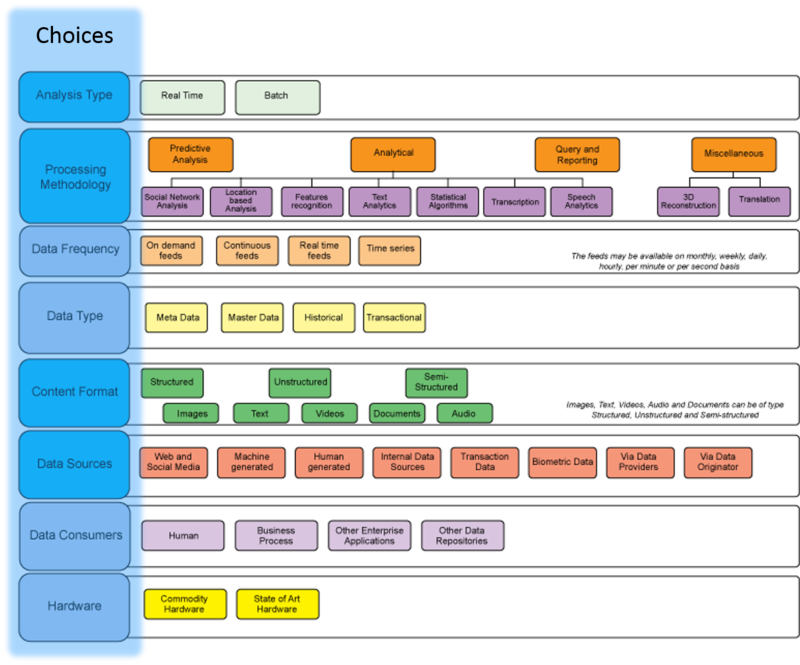 The range of choices you will have to make in Implementing Analytics project shown below (source: IBM DeveloperWorks). Also see the complementary post Executing Analytics 101 and Outsourcing Analytics and Data Science – Vendors, Models and Approaches. 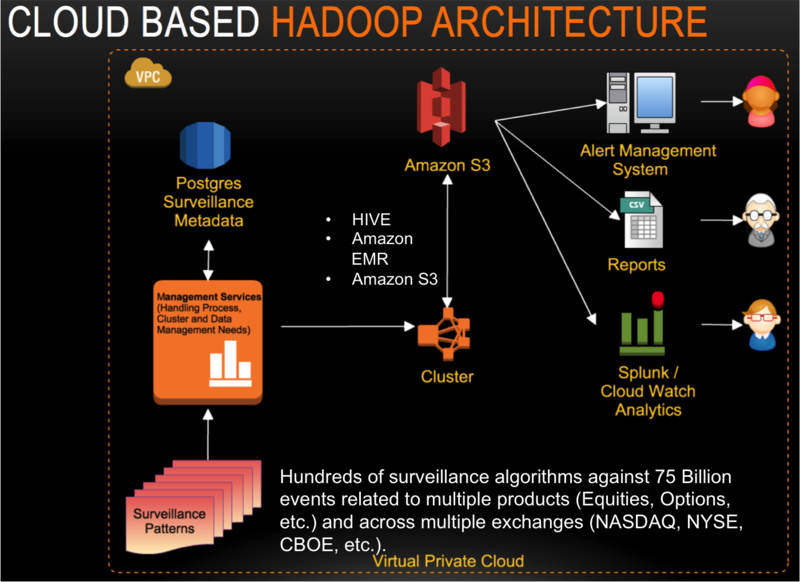 While it is true that big data and predictive analytics is in its infancy, it is growing at a maddening pace. Projects vary from the expected to the unexpected, and even to the esoteric, whimsical and paranoid. Industrial Big Data see The Power of 1% Improvement. Some interesting use cases are illustrated below. 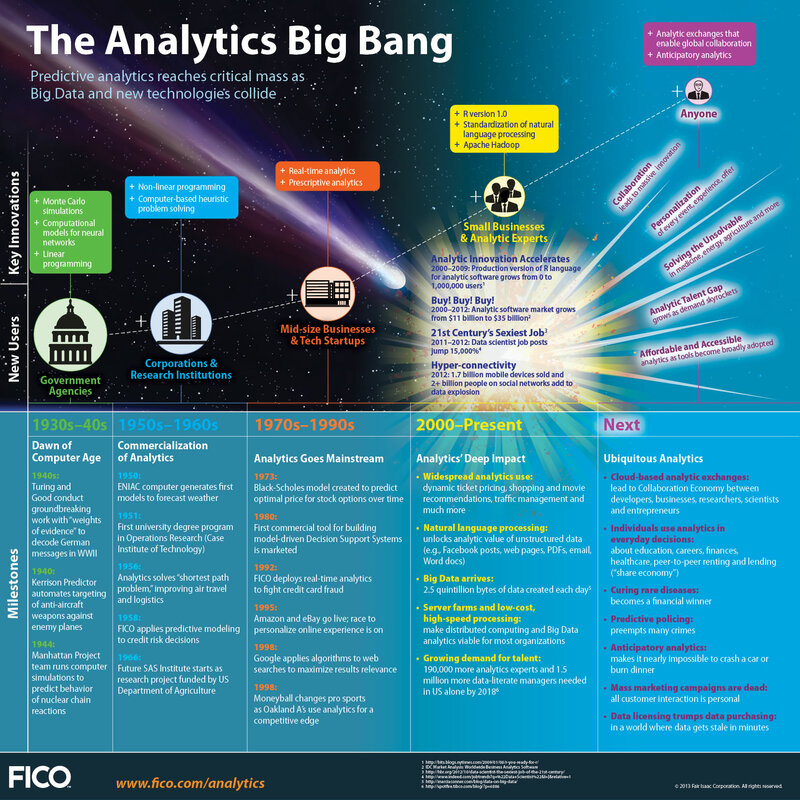 One of the best examples of predictive analytics is seen at Financial Industry Regulatory Authority. FINRA is an independent regulator overseen by the Securities and Exchange Commission, chartered to monitor theU.S. stock market. FINRA oversees every brokerage firm and broker doing business with the U.S. public and monitors trading on the U.S. stock markets. How… Apply hundreds of surveillance algorithms against massive amounts of data in multiple products (Equities, Options, etc.) and across multiple exchanges (NASDAQ, NYSE, CBOE, etc.). Will the customer buy this product or not buy this product? What offers might result in higher take rates? What offers based on consumer behavior over time (longitudinal) result in more spend? Browsers to Buyers – what does the “Path diagram” look like? Retailers accumulate huge amounts of data on a day-to-day basis. Each time, you head to Costco or Kroger and fill up your cart. The cashier scans your items, then hands you a coupon – for $1.00 off your favorite brand of ice-cream. With hundreds of thousands of grocery items on the shelves, how does Kroger know what you’re most likely to buy? Using predictive analytics and data from loyalty cards, computers in real-time are able to crunch terabytes of your historical purchases to figure out that your favorite ice-cream was the one item missing from your shopping basket that week. Further, the algo matches your past purchase history to ongoing promotions in the store. Data to enable cross-channel and multi-stage marketing. 70% of buying experiences are based on how customer feels he or she is being treated. A negative experience is extremely difficult to overcome. Every retail and web interaction both feeds a customer profile or influenced by a customer profile. Advances in analytic approaches enable firms to engineer a 360 degree view of a “Customer Profile.” Customer Profile is a way of interpreting each customer’s psychology, relationship drivers, and behavior, based on his or her relationship and interactions with all touchpoints of an organization, and it brings to light the hidden reasons behind each customer’s purchase and relationship patterns. Customer Profile is developed by analyzing, among other things, relationship length and individual customers’ purchase behavior in all its dimensions: quantity, amount, where, what, how recent, how frequent, and how sensitive to different types of offers. Customer Profile captures the full extent of a customer’s relationship with a company in a single, predictive package that organizations can use to ensure that they are maximizing the value of each relationship and each interaction. Customer Profiles are constantly evolving. They allow companies to understand what their customers want, need, and respond to, it enables firms to communicate with them through their preferred channels and frequency, as well as to target and price offers to them for the products and services they value most. There has been an explosion of data and analytics usage in Healthcare. Instead of repeating the posts, i am going to point to four articles that detail the story. Competitive sports is a heavy user of predictive analytics. The gap between legendary and anonymity in sports is often less than a 1% performance differential in elite sports. Analytics in baseball was refined in 1990s by the Oakland Athletics ( (Oakland A’s) and depicted in Michael Lewis’s book Moneyball: The Art of Winning an Unfair Game and the Oscar nominated movie. The Business Problem: the New York Yankees were the most acclaimed team in Major League Baseball. Small market teams like Oakland Athletics (Oakland A’s) had to change the way they did business. The A’s were not a wealthy team, in fact were ranked 12th (out of 14th) in payroll. How to compete with rich teams with constraints like salary caps and small market economics? How to spot and acquire low-cost undervalued talent that is a “force multipler” and not a “money blackhole”? The Solution: In 1999 Billy Beane (manager for the Oakland Athletics) found a novel use of data mining. Beane hired a statistics grad to analyze baseball statistics (pitcher’s records, RBI, batting average in MLB and minors) advocated by baseball guru Bill James. Beane was able to hire excellent players undervalued by the market. A year after Beane took over, the A’s ranked 2nd! How did they do it? While the Yankees paid its star players tens of millions, the A’s managed to compete with a low payroll. When signing players, they didn’t just look at basic productivity values such as RBIs, home runs, and earned-run averages. Instead, they analyzed hundreds of variables from every player and every game, attempting to predict future performance and production. Past performance as a predictor of the future. Some statistics were even obtained from game footage by using video recognition techniques. This allowed the team to sign players who may have been overlooked but were equally productive on the field. Implications: The Oakland A’s started a trend, and the “reporting to predictive analytics” techniques began to penetrate the world of Baseball. The application of analytics to a wide variety of sports is now standard practice. It’s important to note that baseball statistics is not new. Leveraging stats to make hiring decisions is. Dodgers GM Branch Rickey hired the first baseball statistician in 1947, after which the use of statistical analysis in baseball grew. But the practice took a major leap forward in 1977 when Bill James began self-publishing works about a new discipline he called sabermetrics. See MIT Sloan Sports Analytics Conference for more history and latest trends. Other drivers for sport analytics include Fantasy football, sports betting, and point spreads. Conversations at scale… Conversations amplified and relevancy increased … Conversations impacting decisions and actions. Social is spawning a new creative vortex of co-creation, commerce, and collaboration the likes of which we have not see before. Social enterprise is the desire to get work done in new ways, work that involves other people and has Influencers as part of the process (vs. people watching the process). Social Applications are at the heart of Social enterprise and we are seeing a gradual shift in usage as usage matures with more experience. The first phase was around new and innovative collaboration capabilities such as Facebook, Twitter, Digg, Yammer or LinkedIn. In this phase, the focus was better customer engagement through Twitter or Facebook. The second phase is enterprise social — social embedded in apps such as CRM, Sales force management, marketing Intelligence or Data Management tools to embrace a more real-time streaming, “crowdsouring” architecture. In the third phase we are seeing the trend of business applications taking on attributes of these consumer-facing sites to develop better predictive insight. For example, better data management (structured + unstructured; inside the four walls + outside data) within a CRM system could allow operations staff to give greater context to sales forecasts that show steep drops in certain product category sales. How do I find out what customers are saying about my brand? How do I join those conversations and proactively engage with my customers? How do I make it easier and more fun for my customers to engage with my brand? How do I enable collaboration inside my organization to reshape business processes? Social data leverage brings in new capabilities so problems are identified more quickly and the resulting relevant insights can be explored. B2C techniques are coming to B2B and B2E interactions. “Who cares if we find out we lost a customer after she left?” The objective of predictive analytics is not just understand why you lost a customer but how to prevent you from losing one before it happens. Think about the many organizations consumers interact with daily: banks, retailers, branded luxury goods; oil & gas multinationals; telephone companies; non-profits etc. In every case, the strategic vision and objectives for the businesses differ, as do the key relationships and interactions with their customers and with their employees. Each business requires a unique blueprint for its future as a social enterprise, and a tailored implementation roadmap to reach that target future state. Sabermetrics uses statistical analysis to analyze baseball records and make determinations about player performance. James called sabermetrics “the search for objective knowledge about baseball”. Sabermetricians have questioned some basic assumptions about how talent and player contributions are judged and created quite a stir. But over time, many sabermetric ideas have found wide acceptance. Business value comes from consumption of data sciences or analytics, rather than the creation of analytics. Consumption – decisions and actions – is where competitive advantage is generated. Talent shortage — According to a McKinsey report, by 2018, there will be a shortage of 140,000 to 190,000 data scientists, and about 1.5 million managers and analysts who can use Big Data effectively to make decisions. About this Blog: The Business Analytics 3.0 blog covers some of today’s thorniest business problems around data strategy, technology, process, governance, and leadership. Data Science is increasingly becoming a catch-all buzz word that encapsulates statistics, Operational Research and Management Science. The danger is that the entire field might collapse under the weight of unrealistic expectations. The Data Scientist on a Quest to Turn Computers Into Doctors — Wired profiles Kaggle founder Jeremy Howard and his efforts to improve health care through data science practices such as developing deep learning algorithms. What Cars Did for Today’s World, Data May Do for Tomorrow’s — The New York Times profiles General Electric’s major push towards Internet of Things-connected machines and devices to fuel its data lake. GE is bringing analytics-derived insights to its products for the railroad, airline, hospital, and utility industries, yielding successes such as the ability to detect “possible [airline] defects 2,000 times as fast as it could before.” In related news,the Washington Post reported on how GE is using sensor-enabled devices and data-driven insights to revolutionize its manufacturing processes. For Big-Data Scientists, ‘Janitor Work’ Is Key Hurdle to Insights — For all of the promises of data science, the major hurdle for many practitioners remains the messiness of available data, the New York Times reports. “Data wrangling” accounts for 50 to 80 percent of professionals’ time according to studies cited in the article, reducing the effectiveness of data scientists’ efforts. The Notification Economy – predictive analytics plays a critical role in identifying which notification is a critical one to respond to or react to. The other day I participated in a webinar by http://www.KXEN.com on their InfiniteInsight product. I haven’t used their product, but it seems like a strong contender with sophisticated prediction technology (Structural Risk Mitigation) and large scalability. Thanks for the comments. I will update the list. Appreciate the pointer. Great overview. I really enjoyed the read. Great breakdown of a complex subject. Thanks for the diagrams and hard-work! RetailReco Predictive Analytics solutions solves all these problems and gives on the mark predictions for customer’s predicted buys as well as products predicted customers. The predictions are served directly from the web and automatically the sold out products are replaced by the new products. Consistent personalized offers on mobile, on website and on email increases results into much stronger customer loyalty, happy customer base and increase in same customer revenue. Always current cross-sale and up-sale product offers is the basis of success in online retailing. Predictive human behavior has a long history – from defaulting on paying bank loans, to defaulting on a new job, to fraud – so many instances of predicting human behavior. Thank you. Thanks for including the related articles as well! 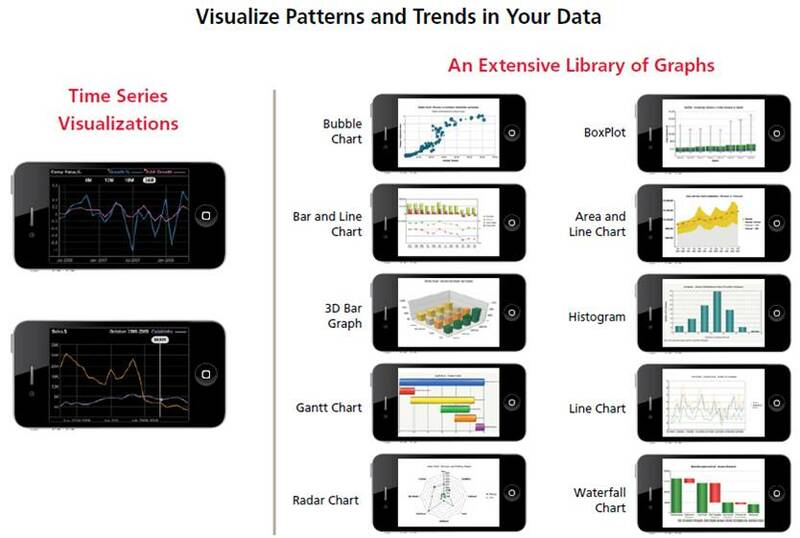 Great explanation on predictive analytics. Predictive Analytics uses many techniques to make predictions of future. Drivers' Identity Verified Using Brain Waves? @Vise Business Consultancy | Predictieve analyse als beslissingsmodel.